Bitcointalk is known to be the largest and the first cryptocurrency forum which was created by the founder of Bitcoin himself. The forum has since then been the home of all cryptocurrency talks. To some, having a Bitcointalk account is the real deal if you are going to be a crypto enthusiast or investor. Early on April 1st 2019, there was a new notification for all users. The notification was that the platform would effect KYC on all users to comply with the law. To make it worse still, part of the requirement for the KYC is the credit card details, including all numbers on the card. Though, it took minutes before few members knew they were being pranked, it took many others hours to confirm that it was truly a prank. Furthermore, as the day continued Vitalik Buterin the founder of Ethereum released a hilarious bombshell on his twitter update. He uploaded a picture of himself with a background which has the picture of Justin Sun, Tron founder with an appellation that reads ‘The World’s largest decentralized ecosystem’. A few hours later, Justin Sun also replied to the tweet with ‘love you’ short message. This surprised everyone as they knew Vitalik Buterin and Justin Sun are the ecosystem’s biggest rivals. Some are of the opinion that it is also a prank while others wait to see where the story will end. Apparently, those were not the only occurrence on April fool’s day. There were many news which was satire which totally pranked readers. But the day concluded leaving all cryptocurrency enthusiast and investor thrilled about April fool on the blockchain. It is important that each member of the cryptocurrency ecosystem understand what part they play. This should give them a sense of responsibility to make sure they share news or information which are confirmed. This cannot be achieved unless they visit authentic news source like The Currency Analytics. 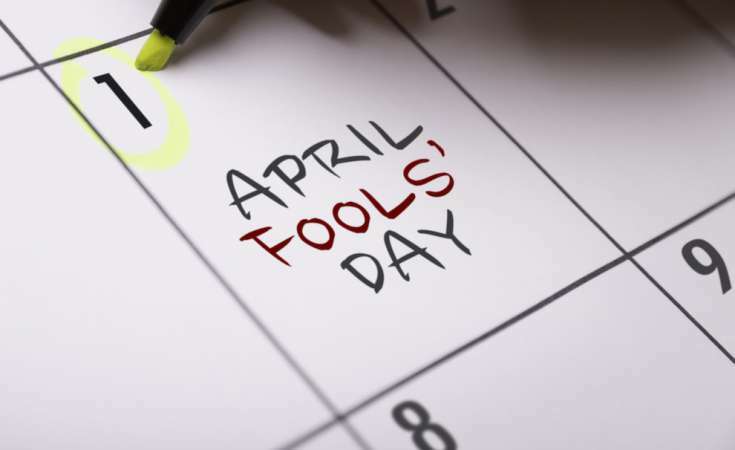 Everyone must take the responsibility to deal with fake news, else the cryptocurrency ecosystem celebrates April fool every day. For more real, up to date and authentic news, visit The Currency Analytics and FinancialReport24. Join the movement against fake crypto news through the TCAT token (listed on Coinmarketcap) and the REAL protocol.